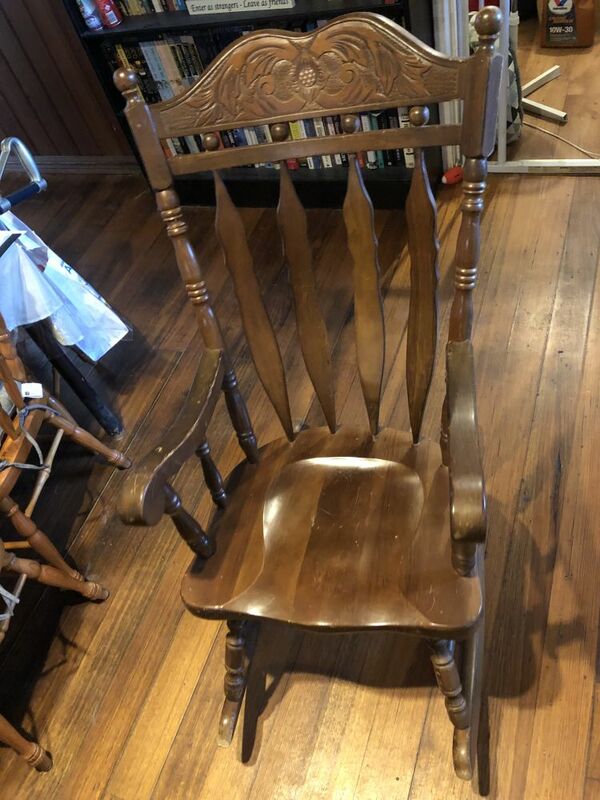 Page 3 of 3: PAGE 1 | PAGE 2 | page 3. 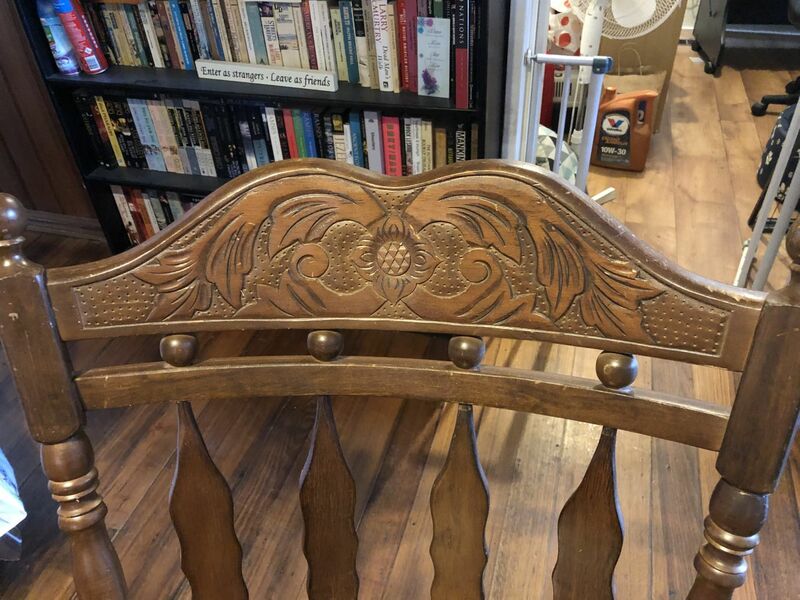 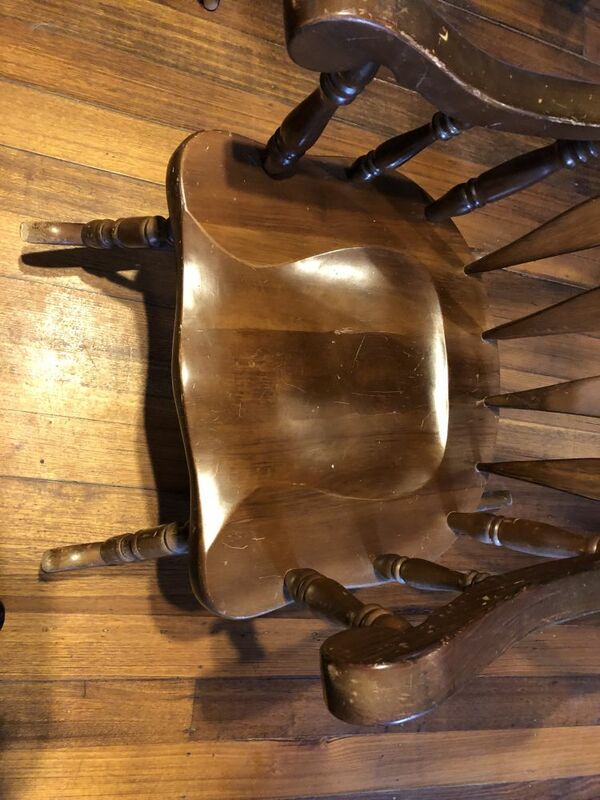 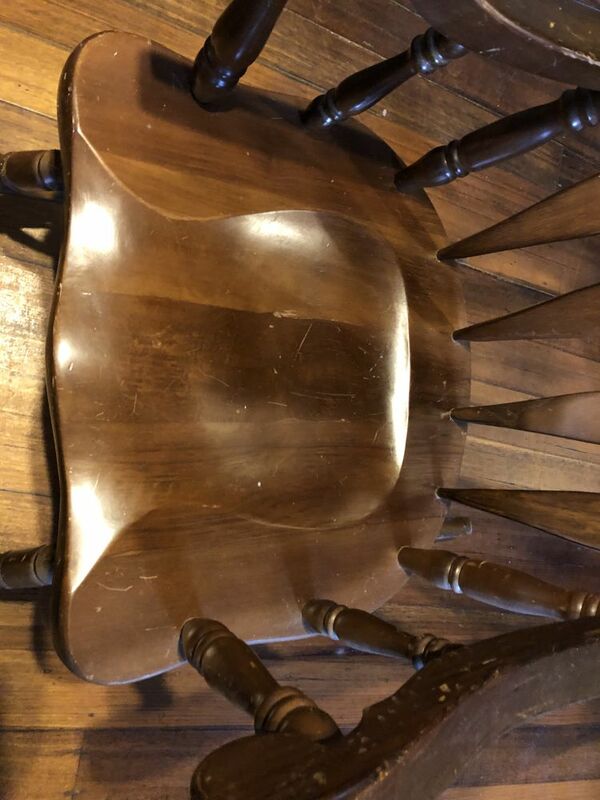 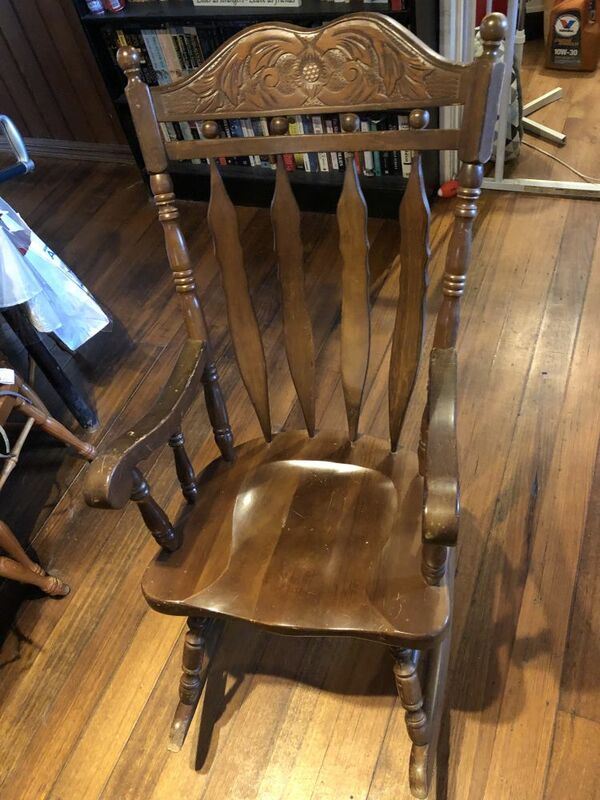 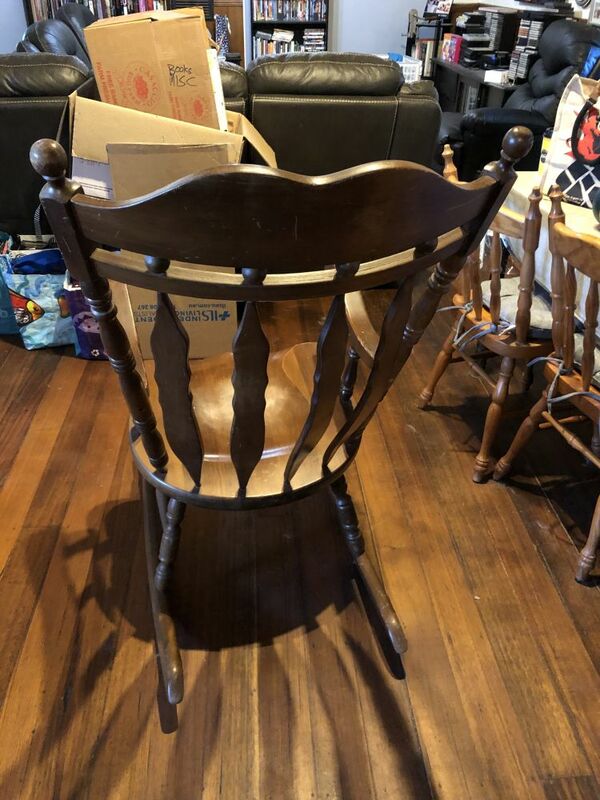 Item 12: Wooden Rocking Chair. 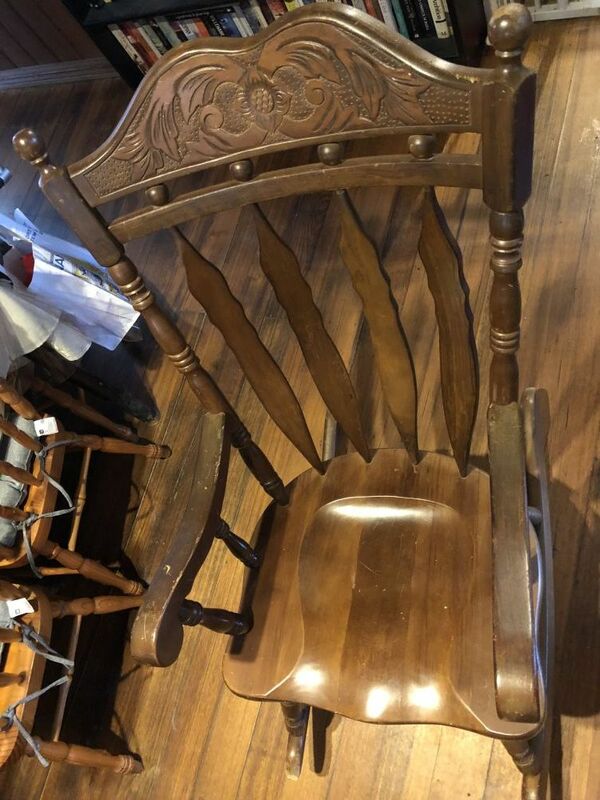 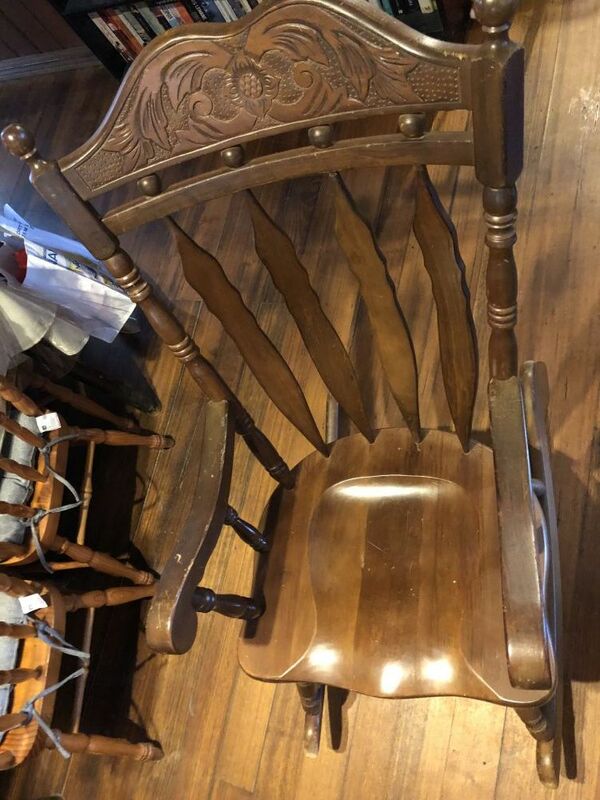 Solid wooden rocking chair like your Great Grandmother would have rocked in as she knitted or did her needlework!